Stratolaunch Model 351 has been tested on the runway of an airfield in the Mojave Desert. The plane picked up speed of 219 km / h and was able to tear the front landing gear from the runway. The huge double-bodied aircraft should be the first commercial vehicle to bring cargo into low-Earth orbit. 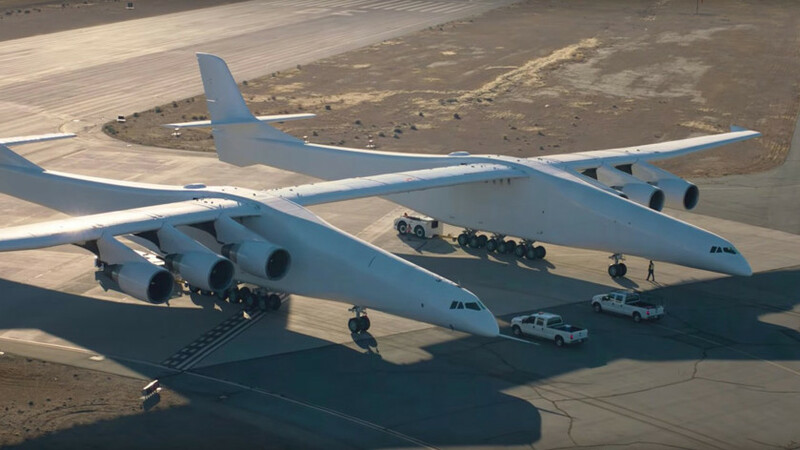 Stratolaunch called the largest aircraft in the world. It is smaller in length and take-off weight than the An-225 Mriya, but it holds a record for wingspan – as much as 117 meters. Stratolaunch has never yet been lifted into the air, but is close to doing so. In the process of testing, which take place at the airfield in the Mojave Desert, the giant colony was dispersed to the “separation speed” – 219 kilometers per hour. With this acceleration, the front chassis of the Stratolaunch broke away from the runway. The creators of the unique apparatus say that it is already ready for flight. But information about the date of commencement of flight tests yet. It is possible for Stratolaunch to conduct another series of ground tests before sending it to the sky.